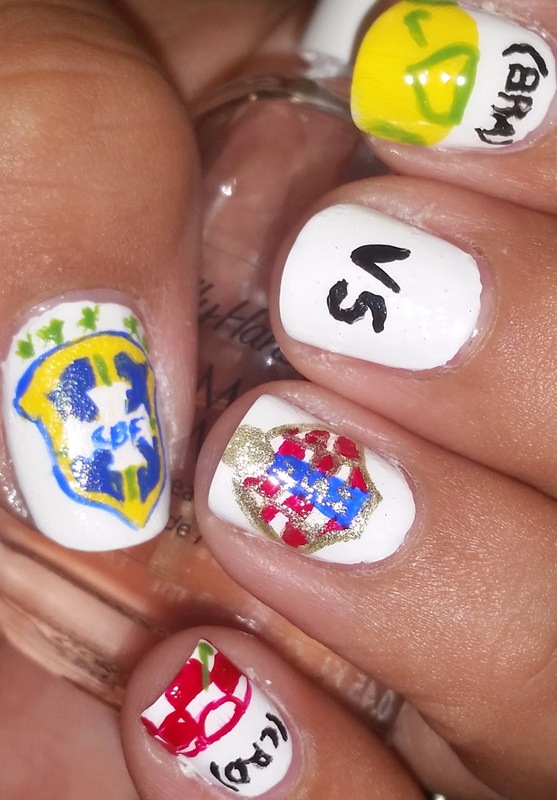 So, I have some more World Cup inspired nail art for you today. As you can see I'm extremely excited about the World Cup and I cannot wait to see who wins. 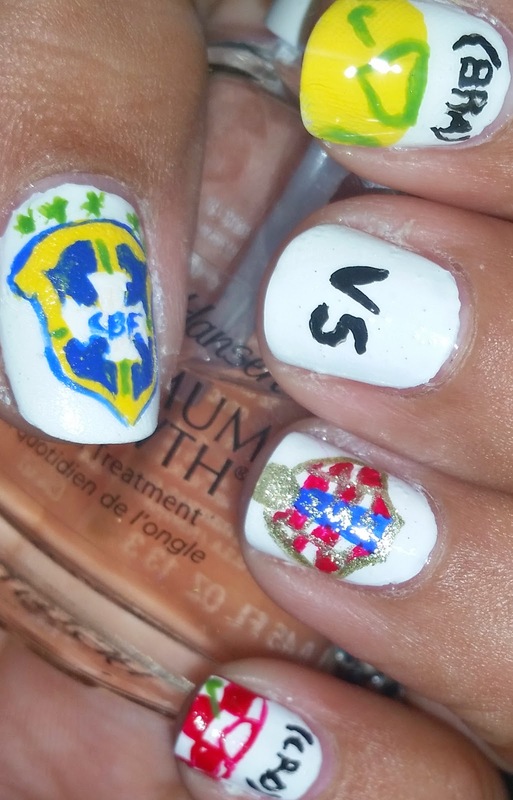 These are my Brasil vs Croatia nails, these teams are the ones opening the world cup. I hope you like them. Oh and I fell asleep before my nails actually dried so I have all kinds of sheets marks on my nails. :( oh well, they are coming off today anyway. So detailed! 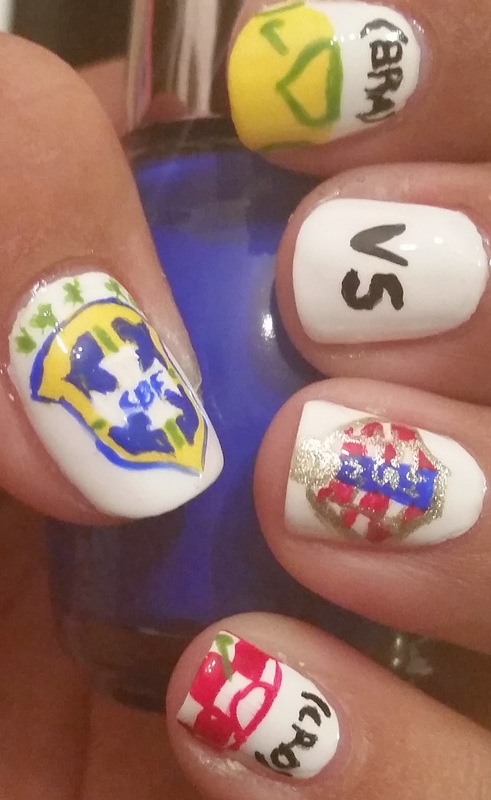 Great mani, Lydia!